Life doesn't always go the way we want it to go. Despite our best efforts, accidents happen and there's nothing anyone can do about except insure against them. This can be done using a variety of insurance plans to protect your family or business against unforeseen circumstances such as premature death, loss of income or a critical illness. We offer a wide range of insurance options and can walk you through the different types to help you choose the one that best fits your needs. ▶ IHT & Wealth Management? ▶ Individual & Business Protection? ▶ Planning for Education Expenses? 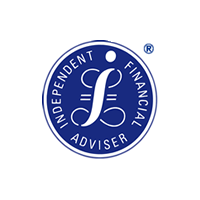 © 2018 – 2019 AJD Financial Services Ltd.
AJD Financial Services is authorised and regulated by the Financial Conduct authority.